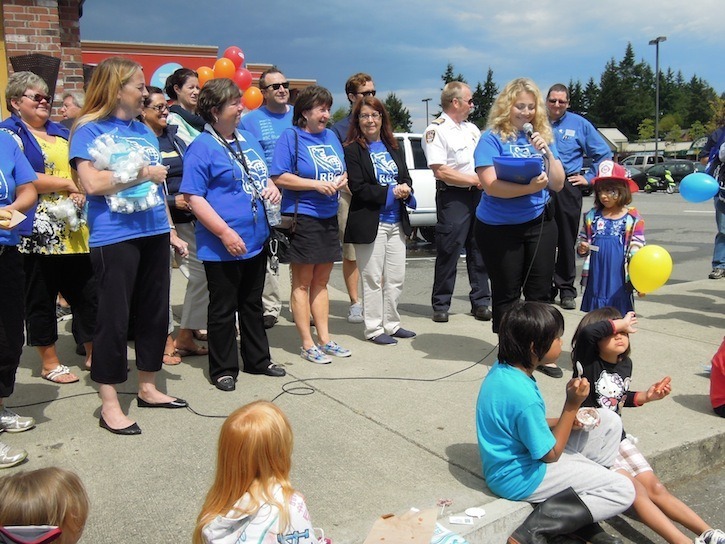 As the sun peaked through the morning clouds on the morning of Saturday, August 10, the parking lot at 6660 Sooke Road was lit with the faces of Sooke residents in a post-fire community celebration organized jointly by RBC, A&W, and Shoppers Drug Mart. In an announcement, RBC branch manager Krista Moffett said the businesses from the Evergreen Mall were collectively donating $6,000 to the Sooke Fire Department. FIre chief Steve Sorenson confirmed Moffett’s announcement. “Each firefighter will have their own personal mask now,” he said, adding that each mask costs about $400.